An important date for your diary and chance to indulge. Get mingling with the finest chocolate makers at this not-to-be-missed event. Do you like chocolate? I know, stupid question, but there is the odd freak out there that doesn’t. Although what they would be doing reading my articles is a little uncertain. 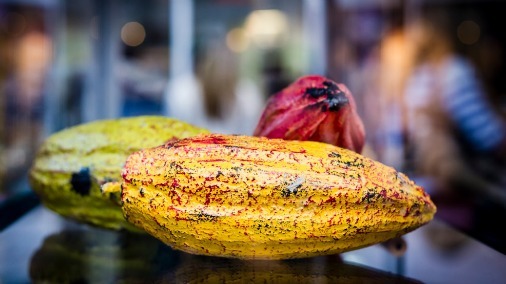 So, assuming you do like chocolate, love chocolate, worship chocolate, or even make it your life’s work, you MUST be sure to have the 17th-19th of October blocked out in your diary for The Chocolate Show 2014 at London’s Olympia. Scrumptious things, as far as the eye can see. 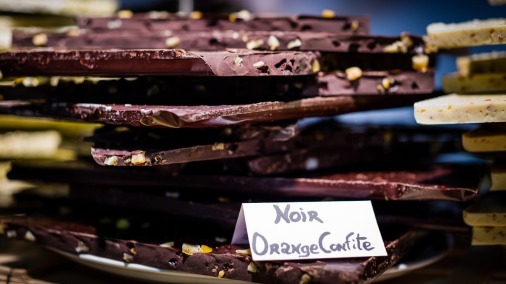 Last year, Salon du Chocolat brought their unparalleled chocolate energy and experience in chocolate events to the UK for the inaugural London show. If you missed it, you missed out. This year, things get bigger and better. 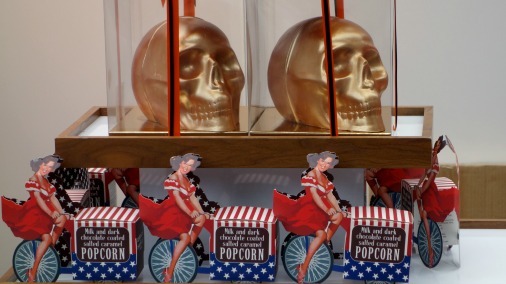 Things get quirky and delicious, just in time for Halloween, at Artisan du Chocolat. Salon du Chocolat are celebrating their 20th year, with a bonanza in Paris this winter. There is much to be proud of, they now host events in 29 towns, over 4 continents and have seduced over 6,500,000 visitors with chocolate to date. While Paris may be the biggest show, with 135,000 visitors over its 5 days, London has a lot to be excited about. Not least that we have our event first! So, not long to wait now before you can get down and get chocolatey! The Chocolate Show gets to the heart of the matter, fabulous chocolate! The three day event is the culmination of the nationwide week long celebration that is Chocolate Week, when venues all around the country do their chocolatey best to entice us with sweet treats. At Olympia, chocolatiers and chocolate makers from across the UK and around the world set up shop, many of them taking the opportunity to visit the capital themselves, to network with their top industry peers, and give personal service to their customers. 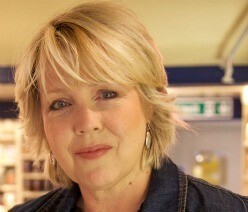 The Chocolate Show is an exceptional opportunity to learn about chocolate and its top creators. And if you are in the industry already, it is a not-to-be-missed chance to mingle and catch up with fellow artists of the brown stuff. The Fat Duck’s Hideko Kawa on stage. With so much talent in one place, there are many conversations to be had and divine creations to be tasted. One of the highlights of the show is a superb program of demonstrations. 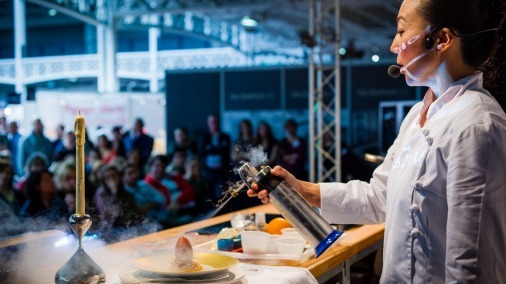 Experts such as chef Atul Kotchar, chocolatier Paul A Young and Barry Johnson and baking stars John Whaite and Edd Kimber, present a packed schedule of demonstrations, giving you the chance to learn from the best. 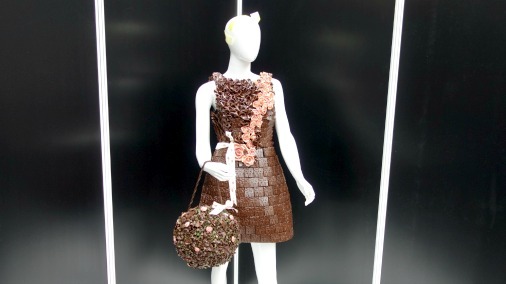 UK Chocolate Master Mark Tilling’s fashionable chocolate creation. There are always fabulous things to look at, with the Salon du Chocolat world famous fashion show the most glamorous spectacle. 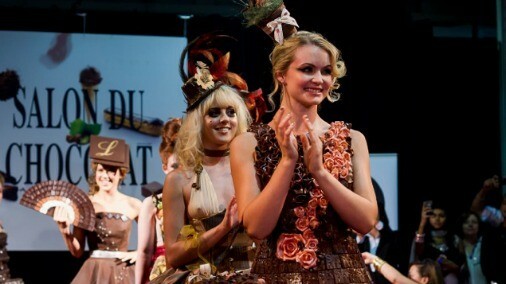 Dresses, created entirely in chocolate through amazing feats of artistry, are on show throughout the event, and are worn in a live catwalk show each day at 5pm. A chocolate bikini is strutted in the live catwalk show. Additional displays are planned, including a photography exhibition of plantations in Peru, and an exclusive show of never-before-seen artwork and props from Roald Dahl’s Charlie & the Chocolate Factory – The New Musical. 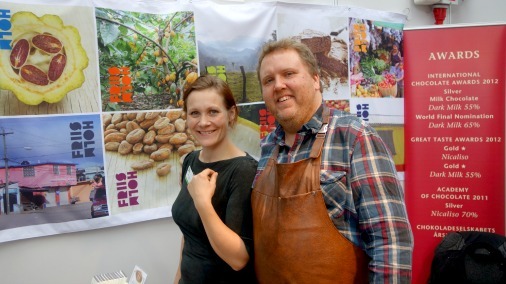 The Friis Holms, and their multi award winning chocolate, will be visiting from Copenhagen. Most importantly there are acres of fantastic chocolate! And given it is from the likes of Duffy Sheardown, Benoit Nihant, Demarquette, Friis Holm, Akesson, Venchi, Lauden, Rococo, Godiva, Lindt, Hotel Chocolat and Sir Hans Sloane, to name but a few, if you love chocolate it would be a crying shame to miss it. 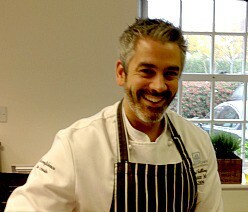 And if you are a chocolate maker or chocolatier and are not yet involved, get cracking! 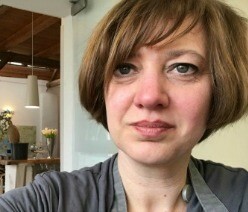 I will be there, as will all my chocolate and food writing peers, dying to taste things that thrill, make new discoveries and spread the chocolate word. 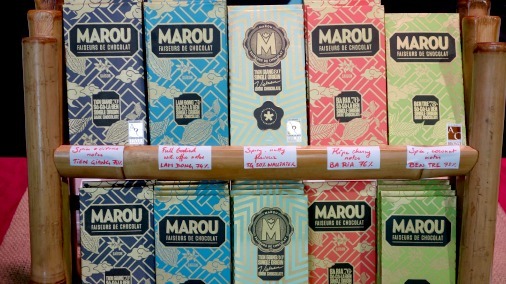 Vietnamese chocolate from Marou, one of many interesting new discoveries worth making. The Chocolate Show 2014, Welcome to London!